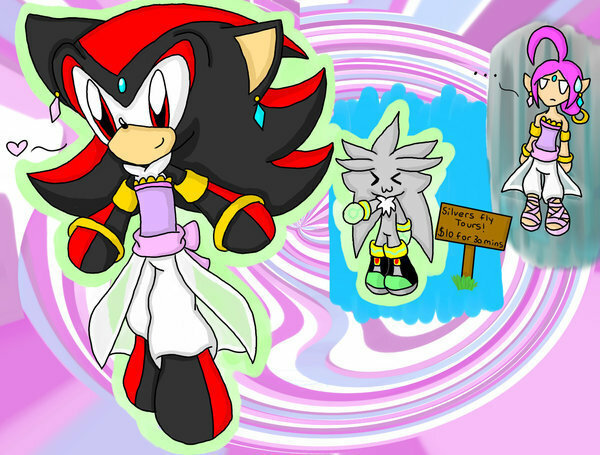 Shadow wearing Shahras clothes. LOL – Liên minh huyền thoại so funny, also Silver helping him fly XD XD XD. Wallpaper and background images in the Nhím Shadow club tagged: shadow hedgehog. This Nhím Shadow photo might contain anime, truyện tranh, phim hoạt hình, and manga. 0_0 xD Shadow can fly! Shahra is the Genie of the Ring from Sonic and the Secret Rings. Me:Um Shadow why are you wearing earings? Shadow:WHAT!?!?!??! Me:THATS IT YOUR NOT A BOY THIS LOOKS LIKE A JOB FOR MS BACK TO NORMAL!! (Dress like himself) Shadow:NO NO NO!! !